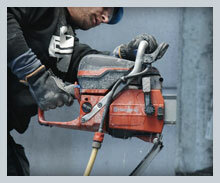 Strive Concrete Cutting, Inc. offers fully-equipped trucks for saw cutting and core drilling. We employ skilled operators and labor, and provide all of the tools, equipment, power and water needed to complete the job. We’re fully insured and offer 24 hour service, seven days a week. Our concrete flat saws can cut up to 22” from any of our well-equipped trucks, but we are capable of making cuts in concrete or asphalt that are up to 28” deep. 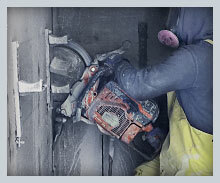 Our saws operate with 44 to 72 horsepower, depending on the job size and requirements. 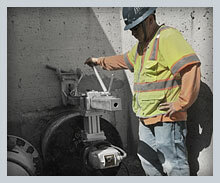 We specialize in deep saw cutting, primarily for public works projects. 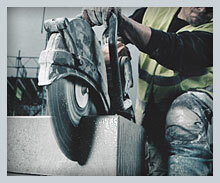 Our trucks carry up to 14" diameter bits, and upon request we drill up to 42". We also do core sample testing and patch back. Each truck is equipped to cut up to 6” with gas or electric hand saws for small spaces, areas with difficult access or small openings. The ring saw can cut up to 10” deep for reinforced concrete or block, and is well-suited for cutting smaller openings such as windows and doors. The diamond chain saw allows deeper, cleaner cuts in certain applications. 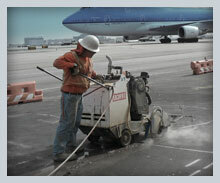 It is often utilized to cut air ducts, and small square or rectangular openings, without over cutting. © 2016 Strive Concrete Cutting, Inc. All right reserved. Site Design, Development & Hosting by Olive Street Digital, Inc.